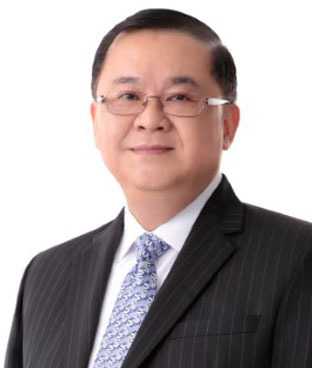 Edwin Bautista, chief executive officer, Union Bank of the Philippines, describes the bank’s digital transformation journey, the results of its technology achievements, and plans to accelerate its growth into a digital bank. Union Bank of the Philippines (UnionBank) is a mid-sized bank that, like most similarly sized banks, ambitions to break into the top tier of the industry dominated by the larger conglomerate-owned banks. The bank is driven by a vision to become one of the top three universal banks in the country by 2020. Some would consider it a tall order as the bank’s total asset base of Php524.4 billion or just over $10 billion, currently places it sixth overall and about a fifth the size of the leading bank. Notwithstanding, the bank has an aggressive plan to grow. For one, it aims to increase its ten million customers exponentially, by five times to 50 million, within the next three years. Edwin Bautista, chief executive officer of UnionBank, believes that the path to achieving such a lofty goal is through a digital transformation journey - a feat that the bank started in 2016. To have any chance of success, Bautista said that the bank must be totally committed and immersed in the transformation - it cannot afford to be tentative or incremental. Transformation is an existential reality for the bank and it is demonstrating its commitment by putting its money where its mouth is. To this end, Bautista has the full confidence and backing of the bank’s chairman, Justo Ortiz, and the board. The bank has been making significant investments into its transformation initiatives so far. “In terms of investment, 90% of our capital expense is now going to digital transformation. How serious we are? We are talking about $58 million (PHP3 billion) a year,” said Bautista. The bank created a transformation team to lead the change, headed by a newly appointed chief transformation officer who also took on the more conventional role of chief technology and operations officer. To ensure that the change is focused on customers and on improving customer experience, the bank also appointed a chief user experience officer. These are roles hitherto unknown in the Philippine banking industry and could be emulated by industry peers. But Bautista is not perturbed that his peers will be able to replicate what UnionBank has done so far. “We are doing two transformations at the same time. The first is to convert the whole bank into digital bank. We are going to disrupt the market by going digital. We have been embracing disruption and imbibing a culture of experimentation. Our agility and speed in using technology to improve our way of doing business enables our successful digital transformation in terms of infrastructure. The second is the digitization of the organization as a whole” he stated. The most visible centerpiece of the transformation so far is the ARK digital branch that it launched in the heart of the Makati central business district in October 2017. In the contemporarily designed store, reminiscent of a trendy café than a bank branch, all transactions are enabled by a range of mobile and augmented/virtual-reality devices that specially trained customer experience officers assist customers with. The open concept layout of the ARK branch lends itself to hosting a variety of customer events. One event well suited to help micro, small and medium enterprises (MSMEs) innovate and get onto the ecommerce bandwagon is the UrekaForum. It is a platform designed to help MSMEs build an online shopfront and presence. It is also an online shopping ecosystem that showcases and connects these MSMEs to customers of UnionBank. The bank plans to onboard about 100,000 MSME customers through these initiatives. As the bank sets these long-term strategic goals and makes such substantial investments, how does it assure the board and stakeholders that it is on the right track? “Our latest quarterly results is 33% higher than last year’s. It is phenomenal and a lot of this is because we are able to do a lot of new things fast. The theory is, either you are able to increase your fee revenue but you will have to increase your cost. In this case, you have the revenue going up and the cost is moving down, which is short of counter intuitive to conventions. It turns out with our robotics process automation (RPA), the savings are not in the magnitude of 10%, 20%. We are saving 90%. It is phenomenal and unheard of. We are shocked by the results we got. But it took us two years to get where we are,” Bautista shared. "Transformation is focused on the same customers and experience, but changing the way we deliver, largely digital and agile. So, we are able to iterate fast. We are able to do product changes within two-week cycles. And we are able to digitise brands,” he added. Beyond a better customer experience, it is also about improving margins and disrupting existing revenue and profit model. “Data will allow us improve our underwriting, lower our prospective credit cost. RPA will reduce our operating expense. Then we pass on a large part of that cost by way of lower fees but we gain in volume. That is the right model because we are still at the same margin. Because we are able to reduce the cost, so if our competitors will follow, they would have to sacrifice margin,” he said. The digitalisation efforts in the first two years have been mainly focused on products, processes and brands. For example, in the new branch, all processes and collaterals have been digitised and there is no trace of paper in sight, except for the paper cups that the in-store café serves its coffee in. Customers can open a savings account, and apply for an EON debit card or a business loan without filling out any paper forms. In addition, when customers use the instore tablets, they are taught to download the banking app that they perform their transaction on. And are encouraged to use the app, which is protected by biometric security features, for future transactions and to save themselves a trip to the branch. The bank’s plan to reach 50 million retail customers and 100,000 MSMEs by 2020 rests primarily on getting EON, its digital bank brand, into the hands of the country’s 70 million unbanked and underserved residents and one million MSMEs mainly in the rural regions. At the core of EON is a series of digital wallet and payments products. The basic product is an e-wallet that requires no minimum balance. They can be purchased from third-party outlets such as 7-Eleven stores without the need for a “know your customer” (KYC) onboarding process. It can also be activated and accessed via a mobile companion app. However, if customers choose to link the wallet to an account, it can be upgraded into a full-fledged debit card, which requires a full KYC to be done on the app. In January 2018, its 106-branch rural banking subsidiary, City Savings Bank, successfully acquired the 102-branch PR Savings Bank, giving it significant access to the rural areas which are major destinations of overseas Filipino workers’ (OFW) remittance and funds. The bank is working with Consensys, a blockchain fnancial technology firm started by Joe Lubin, co-founder of Ethereum, to build a blockchain-based payment and settlement platform to link up rural banks in Mindanao. Today, the bank is ready to open another front on its digital journey. “We have achieved so much in the last two years, but most of the efforts have been actually led by a small portion of the organisation. Now, we think we are ready to transform the whole organisation. In many banks that we have studied, their approaches have been to transform the digital bank, not the rest of the bank. The entire bank is very heavy to turn. In our case, we decided we will turn, so the next step is actually to redesign the organisational structure to support becoming agile. We are changing the business configurations. There is a business head for transformation “A”. There is a business head for transformation “B”, and those who build the dominant businesses are arranged now by mission rather than according to the normal products,” Bautista explained. Another dimension is the creation of eco-systems and open platforms. “Banking is going to be an embedded experience. So, usually platform, you need to be ready to participate in platforms and eco-systems,” he stated. Bautista has promised that no staff of the bank will be left behind in the digitalisation journey. To ensure this, the bank’s human resources department has fully digitalised its human capital management system and has put in place an internal staff mobility programme that ensures its policy is focused on prioritising and optimising the talent development, recruitment and deployment of its staff. “First, you have to win the minds and hearts. Mind, no problem. They already know that. They read newspapers: ‘digitise the economy’. More for the heart. ‘if we become digitised but I got left behind’. So that promise to bring everyone along is very important. Our secret weapon is this human capital management system where we are able to track every employee of the bank in terms of talent, performance and preference, and to help them chart their career in the transformed organisation,” he explained. As the bank progresses deeper into the digital space, it is keenly aware of the risks and threats that exist. It has built and started to operate what it claims as the country’s first integrated operation centre that incorporate a cybersecurity command centre that monitors and is able to detect and defeat emerging and sophisticated cyber-threats, including zero-day attacks. No doubt, another initiative that is closely watched and likely to be emulated by the industry. As the bank continues its aggressive digital transformation journey in the Philippines, its future remains relatively blurry with risks coming from all angles. Nonetheless, as one of the early gamblers into digital innovation it is set to reap large rewards if the bank continues its efforts.